Cindy had many moments in her life where she would pause, or stop the car on the side of the road, or gather people’s attention and then she would take a picture. It was a pastime that she enjoyed and to be honest, she was good at it. Not only did she like to take pictures but she also made sure she was in them as well, often asking a stranger for their assistance. Every picture had a story. Thankfully, these pictures will continue to facilitate many stories for Cindy’s friends and family in the years to come. Cynthia Gail McNair was born on July 12, 1962 in Lethbridge, Alberta. She, along with her younger sister Jan, were raised solely by their mother Christena (Chris) McNair. The three of them remained in the Lethbridge area until Cindy reached grade six whereby they moved to Meaford. In her own words she was “Good Alberta Stock!” Sadly, Cindy’s mother suffered from the mental disorder, Schizophrenia and life at home was not always easy for the girls. In 1978 Cindy was taken in by foster parents Gilbert and Anita Bouchard in Walkerton. She quickly became one of the family, joining the Bouchard children, Dennis, Darryl and Jocelyn. Although her time there was short, only spanning a couple years, she remained close with the family for her entire life. After leaving Walkerton she finished high school in Port Elgin, at Saugeen, and graduated in 1982. She then enrolled in the nursing program at Georgian College in Owen Sound before later transfering to Administration. Cindy soon settled in Paisley as she began working at the Royal Bank. Her athletic gifts allowed her to easily immerse herself in the community. She soon became involved in the Ladies Fastball league and also enjoyed curling. While working, she was introduced to one James Henry Davey and in perfect Cindy fashion she blurted out, “aahhh, you smell good!” As fate would have it, their paths continued to cross and they eventually began to date in 1992. The couple were married by Rev. Rounding at Knox United Church, Paisley on September 17, 1994. Their witnesses were Les Ribey and Robin Campbell. By this time Cindy had switched jobs and she was now a secretary for Ontario Hydro. In later years it became Bruce Power and her role became Administration Assistant. She retired in April of 2016 after 28 years. Once married the couple resided on James’ farm on Sideroad 30 in Bruce Township. Here they began their life together and their family. Devin soon joined them on November 30, 1996 with Spencer following on May 16, 2000. Life on the farm was busy, but Cindy continued to get out curling a couple nights a week and became a Beaver/Scout/Air Cadet leader as the boys grew. Apparently one condition of their marriage was that James had to take one week off in the summer. This often meant the family packed up and headed north to cottage country. Wigamog was a popular destination, but as long as it had a lake, a loon, food and water, Cindy was happy! The Daveys also occasionally headed south in the winters, often enjoying the Caribbean. Family trips to Disney in 2008 and Cancun in 2014 were favourites of hers as she enjoyed sharing it with her entire family AND she was able to swim with the dolphins! All of these moments were captured on film, as well as many others, including abandoned silos (just ask the boys) with literally thousands of pictures taken and collected over the years. To be honest, Cindy’s family was her world! Whether it was spending time with James, the boys, her nieces and nephews, the Bouchards or in-laws, family came first! She was particularly close with James’ father, Alvin. He became a father figure in her life and wasn’t afraid to give her advice. One that came to mind was, “don’t ever learn how to drive a tractor,” apparently Cindy listened. She made a point to try and keep in touch and see everyone. She was social, approachable and loved conversation. She could make friends with anyone and often encouraged those around her with comments like, “those are the friends we haven’t met yet.” As James maybe put it best, “she could cut quite a swath” when conversing with others. Being outgoing, she was always putting others before herself. It has been said that redheads might have a temper and Cindy was no exception. The boys often jokingly referred to her as “The Boss Lady” a term she apparently did not like! She was also known for her heavy foot, with a co-worker giving her the nickname Cindy Andretti. In her free time she enjoyed gardening, particularly her lilacs, and puttering around the house. She loved the colour green and appreciated everything Fall had to offer, especially the colours and scenery. Apparently she could mix a mean Caesar but also wasn’t afraid to enjoy a few of them herself as well! When it came to TV, it was usually a drama, which she would usually binge watch. She enjoyed listening to anything bagpipes but also heavier music as well, with George Thorogood’s “Bad to Bone” being a favourite. Cindy tried to lead by example, particularly with her children and more recently her grandson. In her eyes if you were going to do something, do it right the first time and always mind your manners. She also recently celebrated eight years of sobriety and was very proud of her involvement with the AA organization locally. Retirement also allowed for further learning and opportunities. She became a certified foot reflexology practitioner in 2017. This meant welcoming clients into her own home, but also getting out to visit some of them as well. She also sold DoTerra Essential Oils. Retirement also meant more time for her great-nieces and nephews and her grandson Ethan. She treasured the time she was able to spend with all of them and always looked forward to her next visit. Sadly, Cindy’s life was cut short and she passed away suddenly on Thursday, June 28, 2018 at the young age of 55. Beloved wife of James. Loving mother of Devin (Kristin Stewart) and Spencer. Cindy absolutely cherished her young grandson Ethan. Sister of Jan Engel of Owen Sound and special aunt to Jen, Travis, Jessica and their families. She will be missed by James’ siblings Elroy, Sheila (Jerry) Burrows, Nancy Steinbach (Jim McLiwain), Thomas (Theresa), Delbert (Kim) and Brent. Cindy will be forever remembered by the entire Bouchard family as well as her extended family and close friends. She was predeceased by her mother Christena McNair, foster father Gilbert Bouchard, in-laws Alvin and Margaret Davey, foster brother Darryl Bouchard, and sister-in-law Wanda (Larry) Machan. 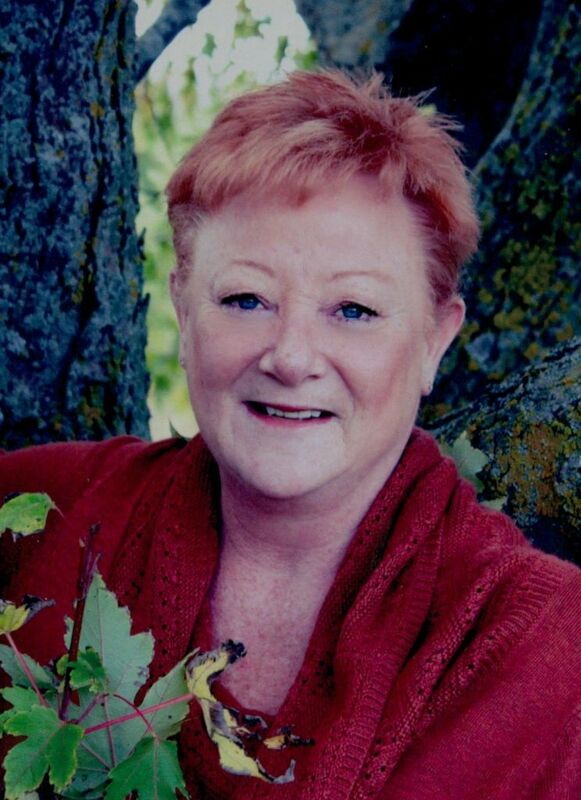 Visitation will be held at Knox United Church, Paisley (399 Goldie St.) on Wednesday from 6 - 9 p.m. and again on Thursday from 6 - 9 p.m. A funeral service celebrating Cindy’s life will be held at the Paisley Curling Club (391 Queen St. N.) on Friday, July 6, 2018 beginning at 2 p.m. At Cindy’s request an “Irish Wake” will follow until 7 p.m. Cremation will follow. Memorial donations to The Children’s Wish Foundation of Canada would be appreciated as expressions of sympathy. I am very sorry to hear of the loss of Cindy. May peace be with her family. James, Devin & Spencer. To say that I am shocked to hear of Cindy's passing is an understatement. Having known Cindy at Bruce Power and through Port Elgin Scouting, I can only say that she spent much of her time talking about her family and how much she loved them. I didn't know that she had become a grandmother but I'm sure that she was the best grandmother ever. Please accept my heartfelt and deepest condolences. I am so sorry for your loss. I did not know Cindy, but I know that she was a good person, because she raised 2 fine young men. Spenser and Devon, you have given your Mom many reasons to be proud. I am sorry for your loss, Bud. So sorry to hear about Cindy. Such a wonderful person. I will cherish the memories of have of her. My thoughts are with you. So shocked and sad to hear about Cindy. We worked in the same office years ago and were casual friends - loosing touch over the years as many do. Please accept my heartfelt sympathies. There is a saying that only the good die young - if it is true then Cindy was one of the best. Best for her love of family, friends, co-workers and life in general. Peace to all who loved her. James and family, please know we are thinking of you at this very difficult time. You will treasure the memories. James and family. We were so shocked to hear of Cindy’s passing. We are so sorry for your loss. Our thoughts and prayers are with you at this time. I would like to send my deepest sympathies to you all. It was a shock to me to hear of Cindy (Cyd's) passing. I have know her since high school and enjoyed seeing her at work up until she retired. Anytime we met up it was as if time stood still and she was always the happy go luck girl I remember. Keep her memories close and she will never leave your heart. James and Family...Thinking of the whole family during this difficult time. Cindy's smile was contagious and her laugh even more so. I have fond memories of her and will cherish every one. My thoughts and prayers go out to all of you. James & Family....My deepest sympathy to you. My thoughts are with you during this difficult time. So sorry to hear of Cindys passing. Our deepest sympathy to you. Thinking of you all at this most difficult time. You have our deepest condolences on the passing of Cindy. Our thoughts and prayers are with you. So sorry to hear about Cindy.She always made me smile.My thoughts are with you. Hearing of Cindy's passing brought sadness that she was gone so young. It also brought fond memories of curling and laughing with her as members of Team Witzke. A true lover of life. My condolences. James, Spencer and Devon - we are all thinking of you during this difficult time. Boys, as you well know Cindy was larger than life and her spirit will be as well. Our thoughts are with you all. Thinking of the whole family and wishing them my thoughts during this difficult time. Cindy had 10 months of enjoying being a grandmother. Ethan was truly blessed to have 10 months with his grandmother. Cindy was a very special friend to us. I met her at the District Meetings of A.A.
and we became great friends . She will always be in our hearts and will be greatly missed. Our thoughts and hugs go to all the family. R.I.P. Cindy. James and family: So sorry to hear of your sudden loss. Thoughts and prayers are with you all. sorry to hear of Cindy's passing, rest in peace, all comfort to family. I was fortunate to work in the same office as Cindy at Bruce Power and remember her very kindly. What a beautiful obituary of Cindy's life. I remember her, always with a smile and a love of her boys. Rest in Peace my friend. Our deepest sympathys to your family James. James , to you and your family please accept my deepest sympathy .May the good times you have shared be of comfort to you now and in the days ahead. James and family: I am so sorry for your loss. I knew Cindy since public school. I am in shock. What a wonderful person she was and so proud of all of you. We had lost touch for many years and when we reconnected it was like no time had passed. She was so caring and willing to share with others. She will not be forgotten. Love to you all. James & boys - so very sorry to hear about Cindy. Our thoughts are with you at this sad time. I had the pleasure of working with Cindy. Her love for her family was so evident in the way she spoke of her husband and boys! Please accept my sincerest condolences and may you hold your beautiful memories close to your heart and know that she will always be watching over you! James, I am so sorry to hear of the passing of Cindy. Over twenty years ago I was one of Devon's babysitters and Cindy's energy and personality is something that I still remember. She was such a nice, beautiful person. Thinking of you at this difficult time. We are so sorry to hear of Cyd's passing. She had a huge heart and will be missed. Our thoughts and prayers are with you. So sorry to hear this news - condolences to all of her family. James, Devin and Spencer, my family sends our deepest condolences on the passing of Cindy. She was an amazing lady who made a mean Peach Pie and brought me one when I was feeling really low. I will never forget that kindness. She will be truly missed by all who knew her. Sorry to hear of the sudden passing of Cyd. She was a ray of sunshine wherever she travelled and our paths crossed many times after college. We are so shocked to see this. Such a spark of light in for everyone who knew her. I am so,sorry for your loss. I have been enjoying all the pictures of Ethan, she was so in love with him. Met Cindy through curling many years ago,she was a spark of joy ,full of fun .Very sorry for her pass I g.
So sorry to hear of Cindy's sudden passing. Our thoughts prayers and hugs go out to all of you. She is never really gone ....forever in your heart and memories. Cindy always had a smile and friendly chat at work, she was such a pleasure to know. I was saddened to hear of her passing. So sorry for your loss. May your memories of Cindy bring you strength and peace as you mourn her passing. We are so sorry to hear of Cindy's passing. Such a vibrant lady! May your memories of her live on forever. James, Devon, Spencer. Our sincere condolences on this tragedy. Know that we are thinking of you and that the many memories of Cindy will get you through. James,Devon and Spenser, I am so sorry to hear of Cindy's passing. She was a very strong woman with a wonderful sense of humour. She will be missed by so many. We had many great times in college and she was a wonderful friend. We are so sorry to hear of Cindy’s passing. She enjoyed life and we loved her laugh! She was taken too soon and will be missed by many. times together help at the most difficult time. Our thoughts and prayers are with you in this sad sad time. James and family...we are very saddened by the news that Cindy passed away. I have fond memories of working with Cindy at the Royal Bank..always enjoyed our chats when we crossed paths, know that your family is in our thoughts. Such sad news that Anne passed along. Though it may seem impossible to imagine now, please know that time will ease your pain. So sorry to hear of Cindy’s passing. As a friend from high school and Bruce Power, I have some fun memories of time spent with Cindy. She was so proud of her family. Thinking of you at this difficult time. My condolences to the family. Cindy was such a bright light. I have so many fun memories from College. Our deepest sympathy on the loss of Cindy a beautiful Wife, Mother and Nana. Our thoughts and prayers are with you dear neighbor. Cindy will be dearly missed. Dear James, Devon and Spencer, I am so sorry to hear of Cyds sudden passing. She was a great friend and will be missed by so many. Treasure your memories. So saddened to hear of Cyd’s passing, a dear friend gone way too soon. My deepest sympathy to James, Devon and Spenser and family. So shocked and saddened to hear of Cindy's passing. Her caring and generosity will be missed by anyone who knew her. It was a privilege to have called her friend. Thinking of you all with heartfelt sympathy. James, Devon & Spencer. My heart is breaking to think about this world loosing such a beautiful fun person. She was a wonderful friend. My thoughts and prayers are with you. She loved you all (and her grandson) to her very core. So sorry to hear about Cindy. We send our thoughts and prayers to you now and for the future. Take care of each other. My deepest sympathy to you James & your family. Cyd will be missed she was a great friend. So sorry to hear Cindy. Our thoughts are with you.